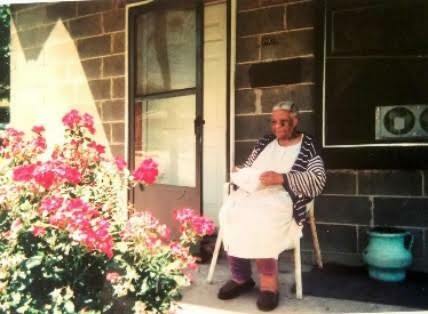 Ms. Mattie Freeland was a longtime member of New Life and a resident of the English Avenue neighborhood for 55+ years. She cared for all those she knew and modeled a lifetime of service and compassion. To honor her legacy of love, New Life partnered in 2016 with Holder Hunt Russell Moody (HHRM JV) - the consortium which built Mercedes Benz Stadium - the Arthur M. Blank Family Foundation, Invest Atlanta and the Home Depot Foundation to reconstruct Ms. Mattie's home as a community house. New Life owns and manages this space to be a venue for community meetings, workshops and classes to enable neighbors to learn new skills and connect with one other. To inquire about renting the Mattie Freeland Community House, complete the online form by clicking here. The community house is one part of the overall Mattie Freeland Park Vision, formulated with the help of around 75 neighbors in 2015. This vision includes the build-out of park pavilions, an athletic field, splash pad and basketball court. Land is now being acquired for the park to be constructed. 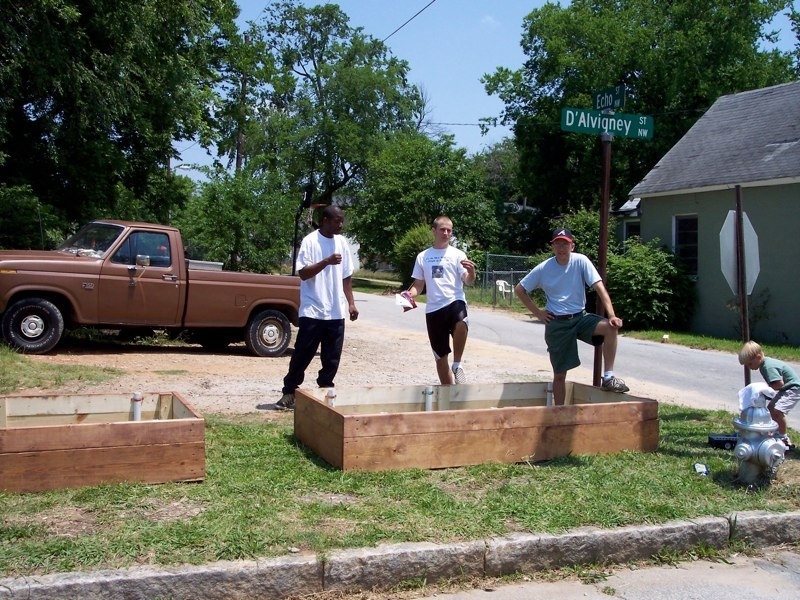 This area was a collection of overgrown lots in 2008, but over time neighbors and New Life members have improved this space to be a gathering spot for the community. It continues to host block parties, celebrations, holiday events and summer concerts & movie nights. The Friends of Mattie Freeland Park plan and execute programming in this space. To learn more, email the group at mattiefreelandpark@gmail.com. If you'd like to support this work financially, please click the logo to the left to make a gift and designate it for 'Mattie Freeland Park'. Thank you. The Mattie Freeland Community House is located at 707 D'Alvigney St. NW. + Movies in the Garden kicked off - "The Lorax" and "The Lion King"